Today a number of free-to-play games make their way to iOS, a couple of which are very popular Facebook games. 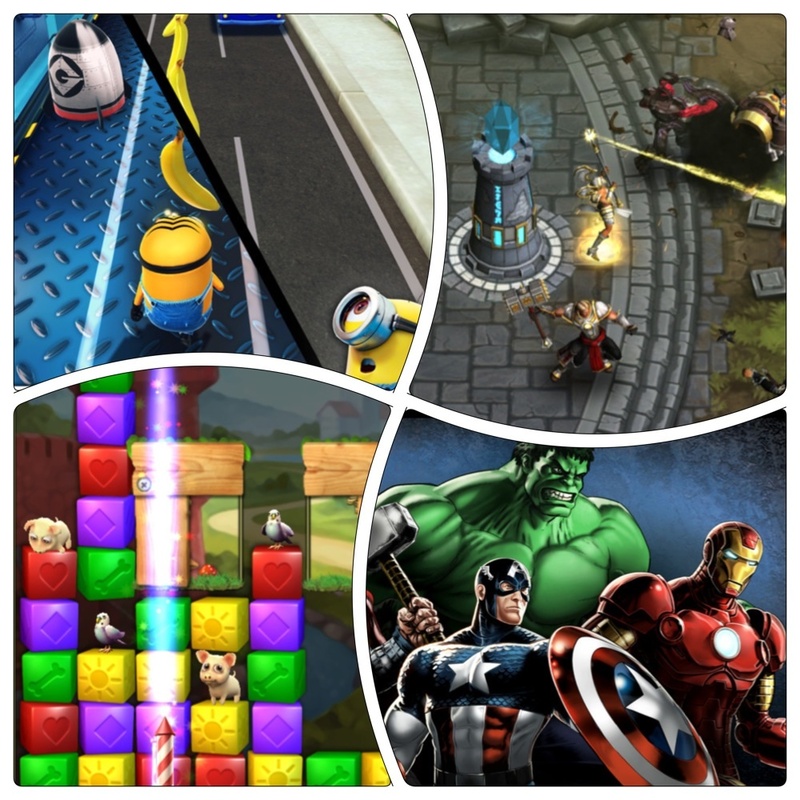 All of these games come from big publishers including Gameloft, Zynga, King (Candy Crush Saga) and Marvel Entertainment. A tie -in to Universal Pictures’ upcoming Despicable Me 2 feature film, this new colorful and gorgeous looking, action-packed 3D from Gameloft will surely appeal to kids of all ages. “Jump, fly, dodge obstacles, collect bananas, be mischievous, and defeat villains to earn the title of Minion of the Year!” There is a rolling set of missions, shifting game perspective and you can even dress up and style your own Minion using various costumes. Zynga wants you to do battle in the Solstice Arena™, “a fast-paced, real-time action fighting game that is available anywhere you go”. This 3 vs. 3 combat game features multiple character classes from which to select and upgrade your Hero as well as online multiplayer PvP and Co-op modes. Not to be confused with the Infinity-blade like game Avengers Initiative, Marvel’s popular Avengers-themed social Facebook game, Avengers Alliance, finally makes its way to iOS platforms today. As an agent of S.H.I.E.L.D., your job is to assemble and lead a team of heroes to keep New York City safe from an unknown threat. Team up with 28+ Marvel Heroes including the Avengers, the X-Men, the Fantastic Four, and more in 450+ battles, 60+ missions and hundreds of quests. The game does require an internet connection to play and some features are still coming, but fans of the Facebook version (or Marvel superheroes) will probably want to check this one out. If the the publisher ‘King’ doesn’t sound familiar, it should. They are the London-based game studio responsible for that Candy Crush Saga game everyone and their mother is currently playing. Now they are ready to bring another of the Facebook hits over to iOS as well. According to King, the current Facebook release of Pet Rescue Saga is the third overall largest game on Facebook with over six million players daily! So you can probably expect a lot of people to be playing this one!